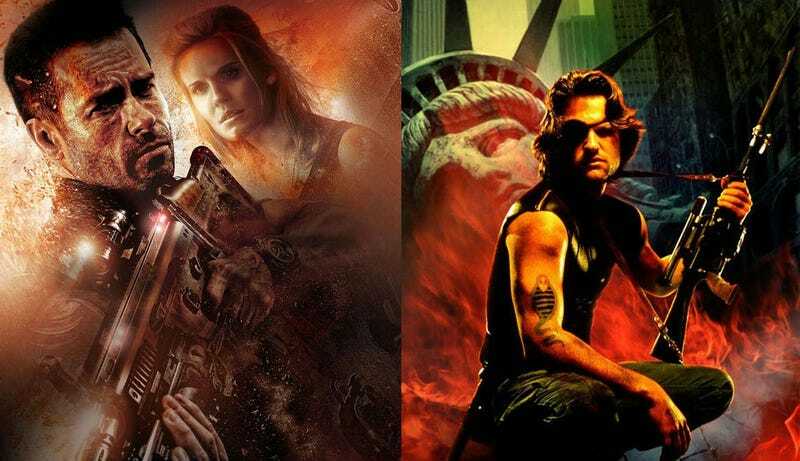 A French court has ruled that Luc Besson’s 2012 film Lockout, starring Guy Pierce, was plagiarized from John Carpenter’s 1981 film, Escape From New York. As a result, Besson will have to pay Carpenter almost a half-million dollars. The AFP reported on the decision, which was made in Paris this Friday. Besson had long denied that Lockout, which is about a convict forced to rescue the President’s daughter from an overrun prison in space, had its roots in Carpenter’s film. That film, of course, is about a convict who has to rescue the President from an overrun prison that so happens to be New York City. The court had several other examples much more specific than the usual arguments fans and filmmakers make about similarities between films.